FrameShoot is an upcoming photography collective. 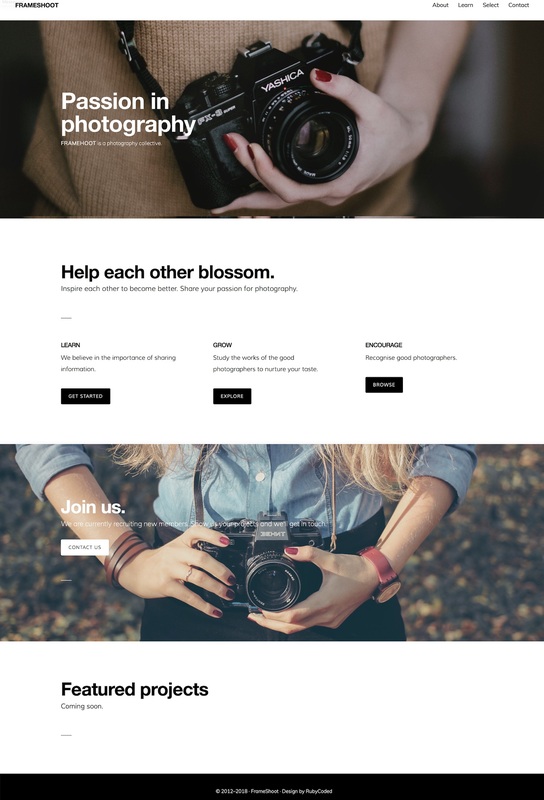 We designed the website in preparation for the collective to feature photographs and text while maintaining a clean, minimalist look. 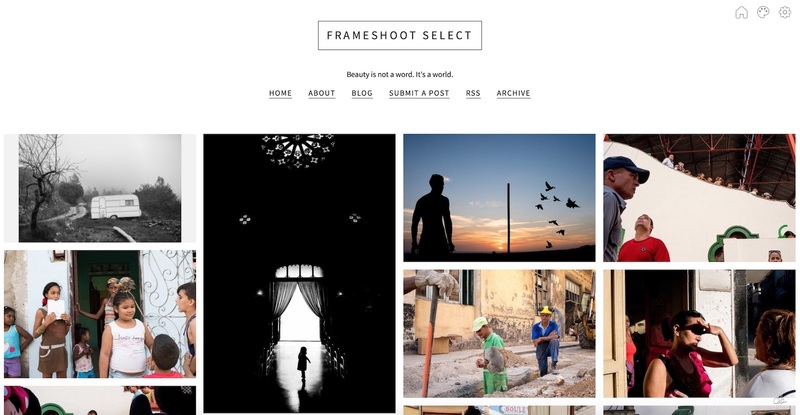 The site has a Selects section that curates good photography. We created a fluid mosaic design that allows the images to flow and resize for the best layout for the viewer’s browser size.